The minister took stock of the operational preparedness and infrastructure development at the base. ITANAGAR: Defence Minister Nirmala Sitharaman today visited forward army posts in remote Anjaw district of Arunachal Pradesh bordering China to take stock of the defence preparedness. The minister, on her maiden visit to the state, was accompanied by General Officer Commanding-in-Chief of Eastern Command Lt Gen Abhay Krishna and other senior Army officers. She was briefed on the situation and defence preparedness along the Line of Actual Control (LAC), Defence Spokesman Lt. Col. Sombit Ghosh said in a release. 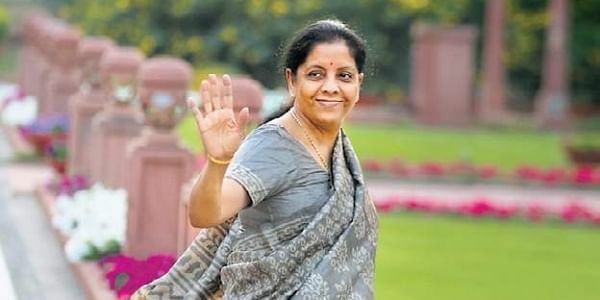 Sitharaman, who arrived in the state on a two-day visit yesterday, interacted with the troops at forward army posts at Kibithu in Anjaw district and lauded their dedication to the service and their efforts in such a remote and inhospitable terrain, he said. She also visited the key air force base in Chabua in Tinsukia district of neighbouring Assam, where she was received by Senior Air Staff Officer (HQ), Eastern Air Command, Air Marshal Rajesh Kumar and Air Commodore George Thomas. The minister took stock of the operational preparedness and infrastructure development at the base, the release said. The strategic base presented a static display of the combat assets to the minister, which included the Sukhoi 30MKI fighter aircraft and advanced missiles. She also interacted with Air Force personnel there. Sitharaman had yesterday inaugurated the Buddha Mahatsava at Bomdila in West Kameng district in Arunachal Pradesh and held a security meeting with Chief Minister Pema Khandu in Itanagar.